Following the brilliant Phases And Stages, Willie's debut for Columbia is a brilliant concept album (nearly unheard of in country music) based around the song and story of the "Red Headed Stranger." Although the song had been previously recorded by Eddy Arnold, it was Willie who would take the song to a much higher level by putting together an entire cycle of songs based around the tragic story of the Red Headed Stranger. Nelson's album is a stunning mix of original and classic songs. Among the highlights are his heartfelt interpretations of "Blue Eyes Crying In The Rain," "Time Of The Preacher" and "Can I Sleep In Your Arms" by the prolific songwriter Hank Cochran. 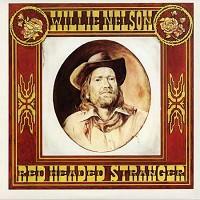 Red Headed Stranger also features Willie's Family, his band, featuring his sister Bobbie (piano), Jody Payne (guitar, mandolin), the impeccable harmonica of Mickey Raphael and the ever-flawless Billy English on drums. The sound of the new Impex 180-gram LP, cut from the original analog master tapes by George Marino at Sterling Mastering, will become the new reference for clarity, realism and, above all, duplicating the inimitable sound of Willie's incredible singing voice. A very good reissue. I agree, it’s very dynamic and the gain has to be just right or the louder vocal passages get a bit glaring. Get the gain right and you can imagine Willie is in front of you. 4 instead of 5 for pressing quality which could be a bit quieter and flatter. What they all said. Great music Great sound. Mine was 1560 of 2000 so maybe not many left. More people should own this!! I bought the original of this great Lp when it came out and it's a wonderful album. However, if you want to welcome Willie into your listening room the Impex is the way to go. As Dennis Davis said awhile back you must tweak the gain to get the most out of this one. Too much and it becomes shrill and too little and you miss things. Get it just right and you are in Willie heaven. The music is 10 out of 10 on probably one of country music's finest LP's ever. For a couple of years I'd been happy with my 80's reissue LP (what did I know?) but this version on Impex brings this album up to a whole new level. Willie is in the room now. One the best pieces of vinyl in my whole collection. I heard the original pressing of this at my in-laws this summer. I fell in love with the music. The sound of this pressing is amazing. You will not be disappointed.